Trip of legends…. Literally. 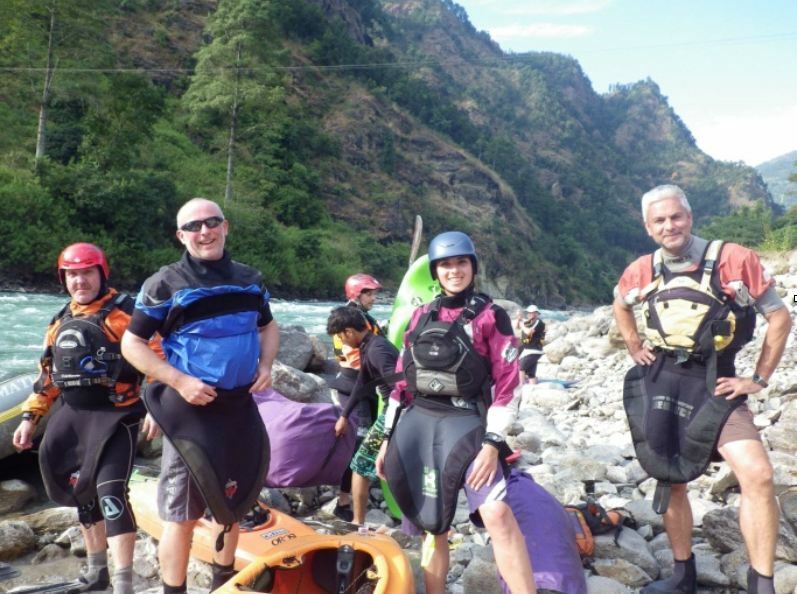 Us Battersea lot, (Tania, Manda, Al, Guy, Ant and John J), were joined by some amazing kayakers and rafters from around the world, Greg Bell –whom did many a first descents of rivers in NZ, John one of the founders of Sobek travel who pioneered commercial rafting worldwide. We even had some of the local Tryweryn raft guides joining us but sporting their kayaks this time and leading us down the rivers safely. In short the trip was absolutely amazing, thoroughly recommend it. Amazing scenery, views of Everest during the 4 day walk in, exceptional whitewater with rapid after rapid, good food, great people and we were blessed with blue sky every single day! So, the trip was initiated last year with Ant making the suggestion for us to join him for his birthday. 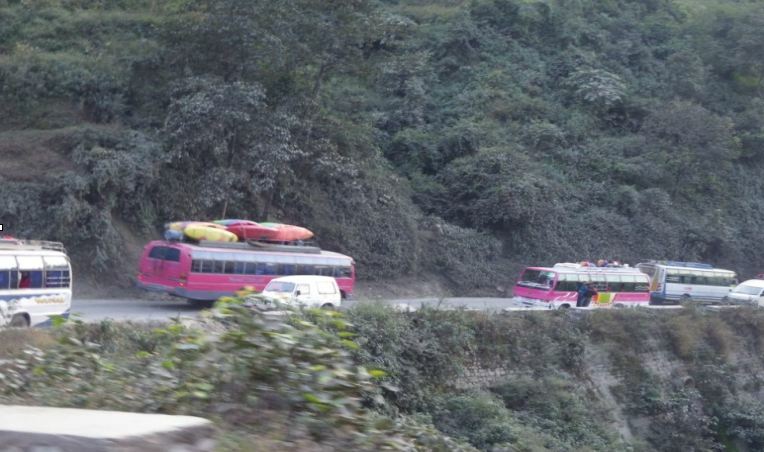 He had a friend, Pat, who ran a whitewater rafting company in Asia and 11 people took him up on the offer…. 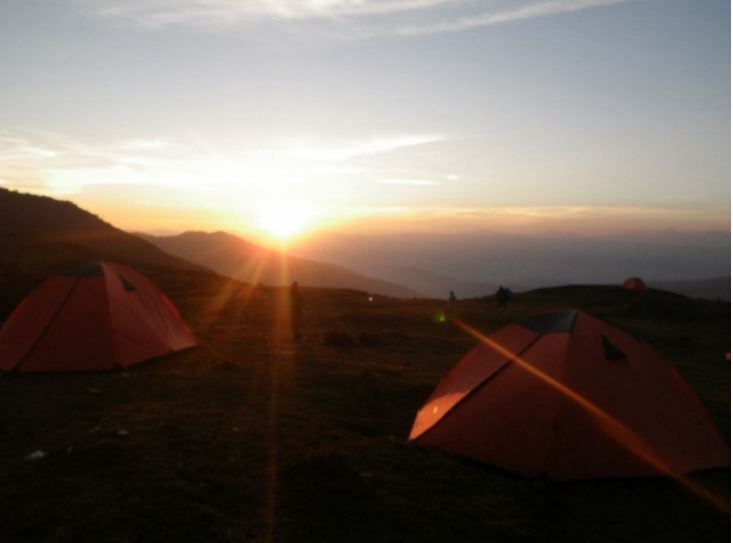 That night we camped at Dobhan where the three tributaries of the Tamur join. To dust off the cobwebs we were able to walk upstream a bit and paddle a section leading to the campsite… this only made everyone more excited. 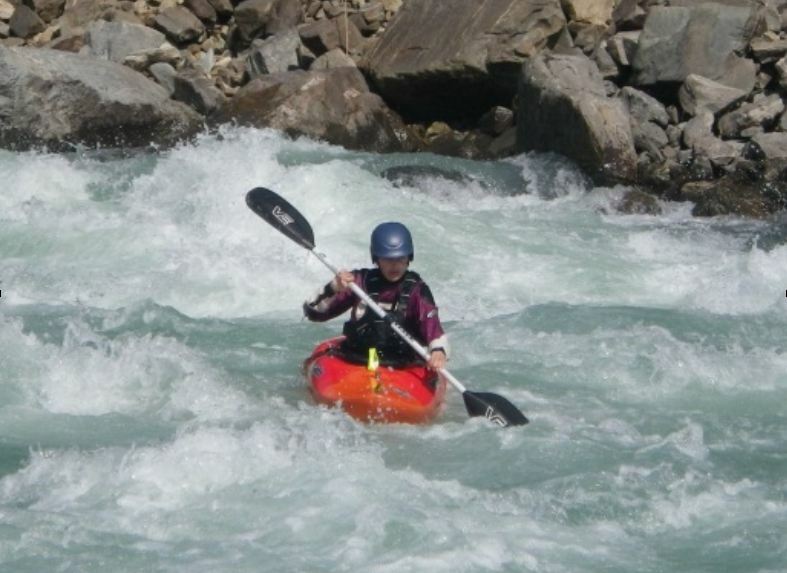 In the next 6 days we would paddle over 120km and over 100 grade 3 and 4+ rapids till we reached the Sun Kosi… there was also some trepidation though as the two hardest rapids of the trip were also the first two rapids of the day less than 200m from camp. The group this year was large, there were 17 kayakers and 11 rafters… 3 kayakers chose to sit out the first couple of rapids, but the rest rose to the challenge and although a few rolls came into play there was only one swimmer, and with these rapids conquered the river Tamur lived up to its reputation on day 1 with rapid after rapid. We played dodge the stoppers down the river and good paddle communication being cascaded from the front to the back was key. It was a brilliant day, but also exhausting, many of us were a bit out of practice and for many it was 9pm bedtimes. The next couple of days were not as intense as the first day, we had a couple of scouts to do, but also many periods that allowed us some recovery time. It was also lovely having so many Nepalese children run excitedly down to the river to watch us pass. The lunch spots and food being cooked for us was second to none, and campfires on the beach in the evenings were so special. Good times in deed. 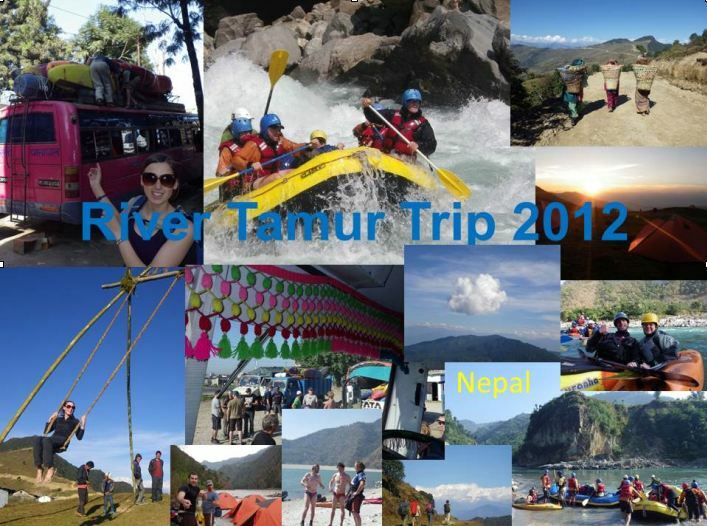 The last day of the Tamur river trip was like the first, we had 50 rapids to do this day so it was an early start. With Ant and Al having some early swims on the first couple of rapids we were all wondering what was to come, however worry we should not, it was about enjoying the scenery, enjoying the river and soaking it all in… for when we reached the last rapid and the narrowing of the canyon leading to our final river campsite we couldn’t believe we’d made it! Best trip eva! 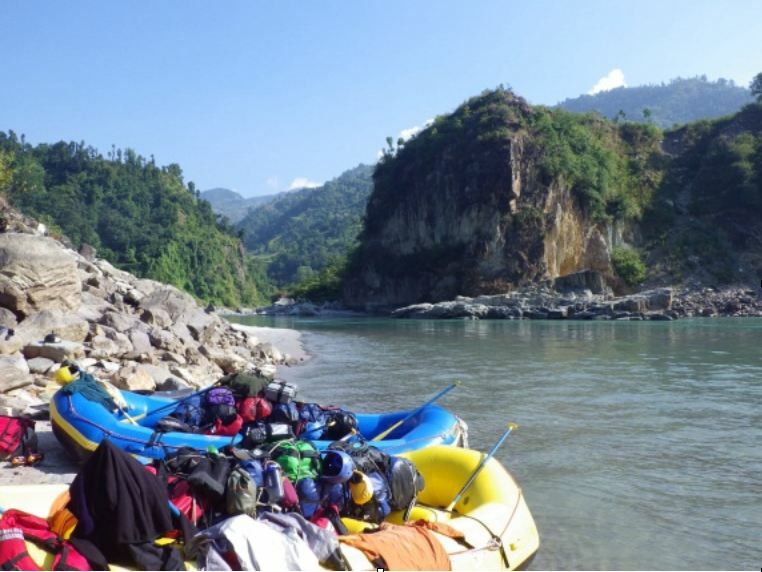 All that was left was some relatively flat water paddling on the Sun Kosi the next day to our take out point and of course the group dinner when we all made it back to Kathmandu. Seriously, I can’t rate this trip enough, Patrick O’Keefe, organised a great trip for us all and I can’t recommend it enough!